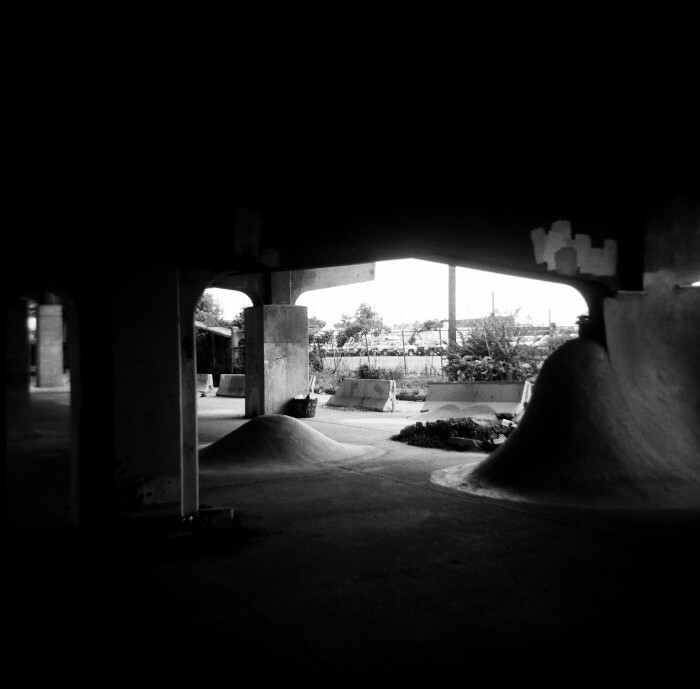 Kings Highway is an under-the-bridge DIY spot in St. Louis, Missouri. Our friend, Jonathan Ware, sent us some photos of their progress. Spots like this are crucial. Taking inspiration from the veterans at Burnside and FDR, these guys are on the daily grind to build and destroy their own stomping ground, seeking out the resources, taking the time to construct and then annihilating it with their skates. HIT UP THEIR WEBSITE and help answer the call. Bring cinder blocks, dirt, rocks, rebar, concrete, mason mix, tools, and work! By Skaters. For Skaters. For Life. This is awesome. Love this kind of DIY counterculter skatepark building. Really started with burnside and has taken off. Love it!